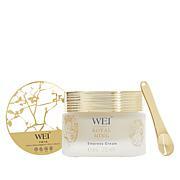 Wei™ White Lotus Daylight Perfection Cream - 1.7 oz. 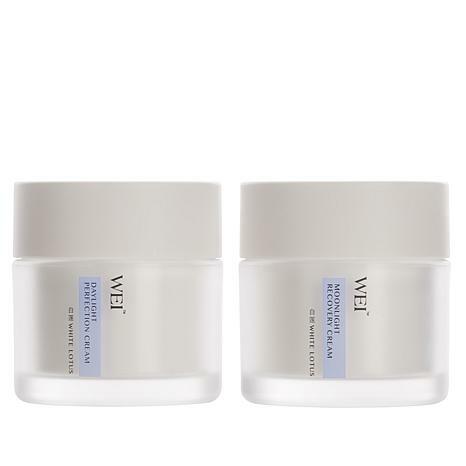 Moisturize and reinvigorate your skin with this White Lotus day and night duo. 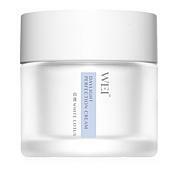 Use White Lotus Daylight Perfection Cream daily in the morning. 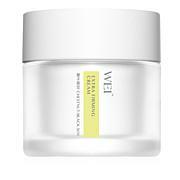 Smooth a small amount over face and neck, after cleanser and serum (sold separately). Use White Lotus Moonlight Recovery Cream daily in the evening. After cleanser and serum (both sold separately), warm a small amount of cream between your fingertips and smooth over face and neck. el cutis te lo deja perfecto me encanta si te quita las arrugas. I so love this product. I have seen results and the packaging well manufactured! Best of all, they are not only against animal cruelty but fight to stop it. I have tried many different moisturizers over the year, but none of them compare to this. My skin is very dry and this is just what I need. I find that it soaks right in and when I use the day and night cream, I have no dry patches. This is the only cream that allows me that luxury. It feels wonderful on my skin and I don't have to reapply all day. Even at this price, it is still much cheaper than other department store creams I have tried. Love it and will stay with Wei!